Item has been tested and works great. Veterinary Cold Laser. Acupuncture, Wounds, Pain. Buy One Get One! Quickly treat wounds and pain. Great for stimulating acupuncture points. Sold by Vetrolaser LLC for veterinary use. 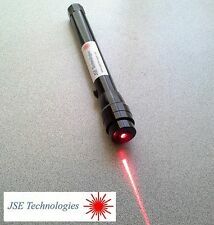 This is a high quality red (650nm/5mW) laser. Runs on two AA batteries. Thousands sold to veterinarians, plus horse and dog owners. Scalar Wave Laser - Base model in Silver. The Scalar Wave Laser features 16 5mw laser diodes (8 in 650 nm or red spectrum and 8 in the 780 nm or infra-red spectrum), as well as 20 unique violet LED’s with high powered narrow beam width to help soften the light. This Enhanced Cold Laser provides 650nm / 50mw of healing light. Benefits of cold laser therapy. Enhanced Cold Laser. Increased Vascular activity: Laser photons induce temporary vasodilation that increases blood flow to effected areas. New ListingCold Laser Therapy-Dual Spectrum 650nm / 810nm - 220 mw Healing Light! USA made! This Cold Laser consists of four lasers at 650nm / 5mw and one powerful 810nm / 200mw laser for a total of 220mw of healing light. This laser is professional grade and can be used by a health care practitioner. TerraQuant TQ Solo Portable Cold Laser Therapy Device. The TerraQuant TQ Solo combines 3 different wavelengths. This Advanced Cold Laser provides 650nm / 5mw of healing light. Benefits of cold laser therapy. Increased Vascular activity: Laser photons induce temporary vacillation that increases blood flow to effected areas. The injured part could release the substance after laser irradiation. Laser irradiation also could reduce the conduction rate, power and impulse frequency to relieve the pain quickly. Laser irradiation can accelerate the growth of new blood vessel and granulation tissue and improve protein-synthesis. Quantum Lotus Laser. Lightly Used. It contains 16 violet laser diodes and 20 violet LEDs which emit therapeutic violet wavelength energy. Proven results for pain relief, inflammation, soft tissue, and skin injury therapy. Natural healing, non-invasive, no side effects and no cross infection. Low-Level Cold Laser Therapy Diminish Inflammation. Professional Grade, LNH PRO 5 COLD LASER. Many conditions can be treated or can be improved using the red laser light of LLLT LNH PRO 5. It is safe, effective and easy to operate. It is safe, it works and is easy to operate. this laser is in good condition, it has one crack across the aperture. But is otherwise in very good condition. Cold laser, red light therapy device pain relief, hand held low level infrared. Condition is New. I purchased it and only opened the box. Professional Grade, LNH PRO 50 COLD LASER. LNH PRO 50 Laser- 650nm/50mW. Easy To Use - The LNH PRO 50 unit is easy to use; information is included on how to apply on pain areas. The device is ergonomically designed for comfortable use. 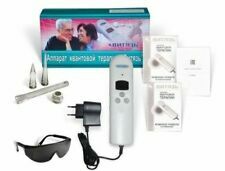 5 out of 5 stars - LNH Pro 50 Cold Laser Kit for Acute & Chronic Pain Therapy LLLT. Pet Friendly. 4 product ratings4 product ratings - LNH Pro 50 Cold Laser Kit for Acute & Chronic Pain Therapy LLLT. Pet Friendly. Scalar Wave Laser - Base model in Violet. The Scalar Wave Laser features 16 5mw laser diodes (8 in 650 nm or red spectrum and 8 in the 780 nm or infra-red spectrum), as well as 20 unique violet LED’s with high powered narrow beam width to help soften the light. It emits no heat, sounds or vibration. So 808nm 650 nm together will have better curative effect for body pain relief. 808nm, infrared laser can penetrate skin to 5-7 cm, directly target the pain point in the deep area. Quantum Scalar Wave Laser. Full Set with Violet, Red and Infrared Probes. Gently used cold therapy mid-laser machine. No refund or warranty. This is an out of lease machine. Comes with only one probe as shown in the picture. "Vityas" is a unique device permitting to eliminate not only displays of illness, but its initial reason. And no more tablets, hospitals and long routines in the physiotherapeutic cabinet - the organism will do everything itself. Cold Laser Therapy For Body Pain Relief, Shoulder, Neck, Knee, Neuropathy, etc. May reduce tinnitus (ringing in the ears). Reduces inflammation. Benefits Of Cold Laser Therapy ideal for Body Pain Relief, Shoulder, Neck. 1x Cold Laser Therapy Device. The Laser Therapy Pen may aid in weight loss, reduce anxiety, depression, help with allergies and smoking cessation. (8)Reduces inflammation and swelling. Laser irradiates the lesion area to enhance the activity of phagocyte and improve the immunity and diminish the inflammation quickly. The injured part could release the substance after laser irradiation. 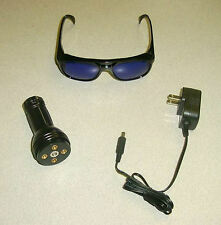 High quality cold laser therapy, includes 2 laser heads. Infrared Cold Laser. Two Laser Set. New. Minor Imperfections. Discounted. These techniques cover over 36 professional chiropractic moves, step-by-step. A three diode infrared (808nm/300mW) cold laser for deep tissues such as muscles and joints. Buy direct from the manufacturer, Vetrolaser. Quantum / Scalar Wave Cold Laser ((( Violet ))) Probe 405 nm 2200 New ! ((( ESTATE SALE FIND ))) Quantum / Scalar Wave Cold Laser: ((((((Violet Probe (405 nm) )))))) ……. Also Have …. 650nm. 780nm …. Sold As Was Found. Looks NEW ! Works Fine. The Quantum Scalar Wave cold laser is manufactured in the USA and although useful for a wide range of issues, it has been recognized by the FDA for the following benefits. (808nm, infrared laser can penetrate skin to 5-7 cm, directly target the pain point in the deep area. 8)Reduces inflammation and swelling. The injured part could release the substance after laser irradiation. The LaserTRX is a low-level laser therapy (LLLT) invention that combines 4 different types of energies The LaserTRX will Laser TRX is a (LLLT) low-level laser therapy device that combines 4 different energies. The more you use it the better it works (results are cumulative). Pain is debilitating and can ruin your quality of life. Within minutes you will experience increased local blood circulation, resulting in reduced swelling/inflammation and pain. Up to 9990Hz in frequencies. LLLT / Cold / Grade 3b / Phototherapy Red and Infrared Light RJ Laser. Total Wavelengths from 405 nm to 904 nm. Multi-cluster Combo 160mW / 655nm Red light, and 440mW / 785nm Infrared Light probe for dermal use. Proven results for pain relief, inflammation, soft tissue, and skin injury therapy. Natural healing, non-invasive, no side effects and no cross infection. Low-Level Cold Laser Therapy Working mode Pulse mode and continuous mode. Laser irradiates the lesion area to enhance the activity of phagocyte and improve the immunity and diminish the inflammation quickly. Results vary from patient to patient and most are enjoying life again within a few weeks. Many conditions can be treated or can be improved using the red laser light of LLLT LNH PRO 5. Boost Healing With Cold Laser. and boost the body's natural healing response. We are providing the best therapeutic red lasers with all the protocols you need now and later. This Model portable laser therapy is designed for personal use. 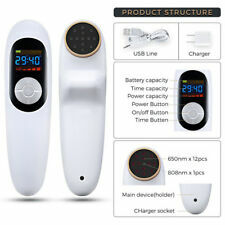 With 510mW laser output, laser therapy is one of the most powerful personal use cold laser therapy device on the market. laser therapy cold laser device. Low level laser irradiation, non-invasive, no side effect, no cross infection, pure green physiotherapy. Prostatitis,Bronchitis,Pelvic infection,Faciacl paralysis,Bcak pain. The injured part could release the substance after laser irradiation. With 510mW laser output, HNC portable laser therapy is one of the most powerful personal use cold laser therapy device on the market. Laser wavelength: 808nm and 650nm. 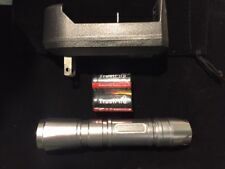 650nm – 60mW. This portable laser therapy is designed for personal use. Acute pneumonia. Acute and chronic bronchitis. Axilla glandular inflammation. Quantum therapy. Prevents their exacerbation, it is effective with weakened immunity. Their contraindications are minimal. 615mW (3pcs 150mW 33pcs 5mW). when you press on switch, all the 808nm and 650nm lasers work simultaneously. 808nm lasers are always on ,but you will feel the light is weaker than 650nm laser red light. Adopts low-intensity laser with the wavelength of 650nm, through the noninvasive irradiate the blood vessels of the human body (radial artery, Neiguan acupoint,Daling acupoint,ulnar artery and nasal cavity). Therapy the various rhinitis. Our device adopt 650nm laser irradiate the acupoint. Energizes cell activity and bloodstream. Improve the red blood cell carrying oxygen capacity so as to purify the blood or hyperviscosity.improve the islet function, make the insulin secretion to normal level. (8)Reduces inflammation and swelling. The injured part could release the substance after laser irradiation. Laser irradiation also could reduce the conduction rate, power and impulse frequency to relieve the pain quickly.